Gather your friends, family, colleagues or local interest group for a guided tour of Massey Shaw. The best way to experience such a unique vessel is by stepping on board and exploring! 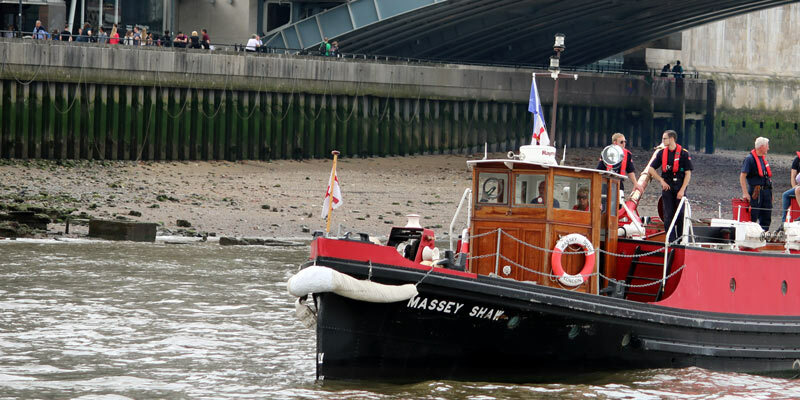 Massey Shaw is moored in West India Dock and is easily reachable via public transport or by car. Full instructions on how to get here can be found on our Contact page. 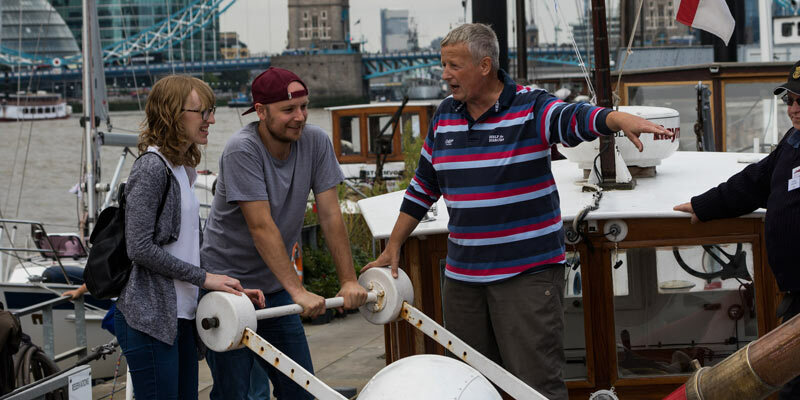 Due to the age of the vessel, we’re unable to offer wheelchair accessibility, but more information and detail can be found here. Submit your details into the form below to enquire about visiting Massey Shaw. A member of our team will be in touch as soon as possible. We normally open for visitors between March until November. If you would like to visit at another time, please fill in the form and state the time in the message field. We provide refreshments on board as part of your visit. This includes tea or coffee, soft drinks or water, and biscuits. Additional catering is available at an appropriate cost. Massey Shaw still has the original pump action toilet installed on the vessel and when underway this is the only toilet on board. When moored, additional toilet facilities are available, including disabled toilets thanks to our links with the Docklands Scout Project. We have teamed up with iZi Travel to create a guided tour for users with either Android or Apple devices. Our tour guides speak English only however we do have an information sheet which can be made available in additional languages. Please inform us at least one week before your visit. 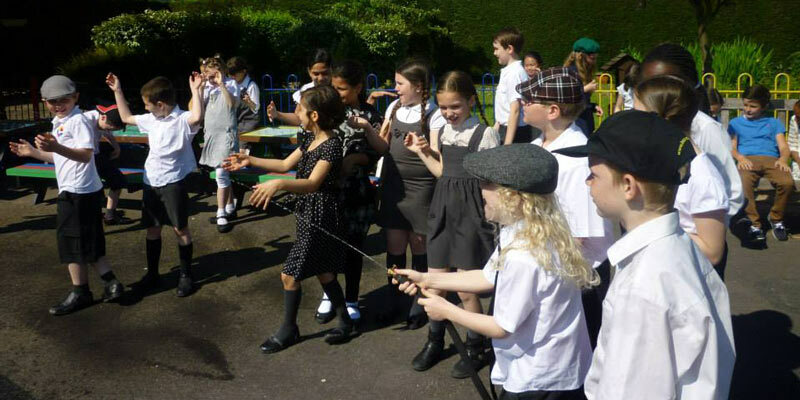 An opportunity to engage with living history. We hold several Family Open Days during the year. 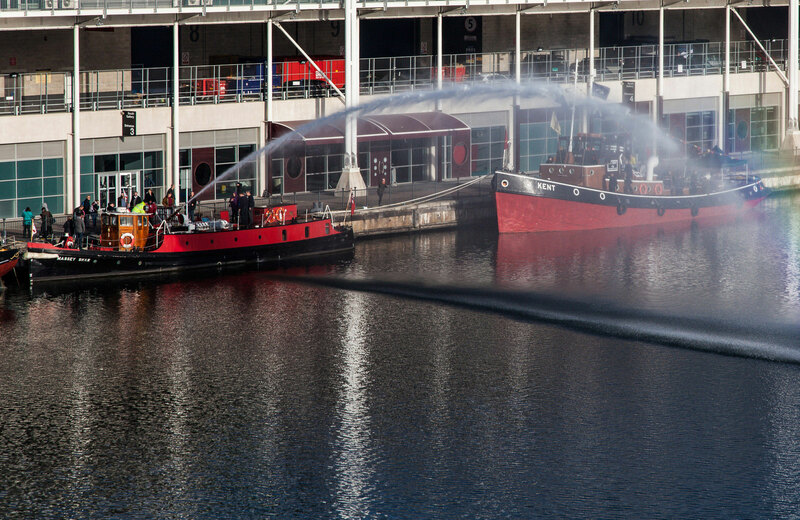 We offer a unique experience for children to understand how a fireboat works.